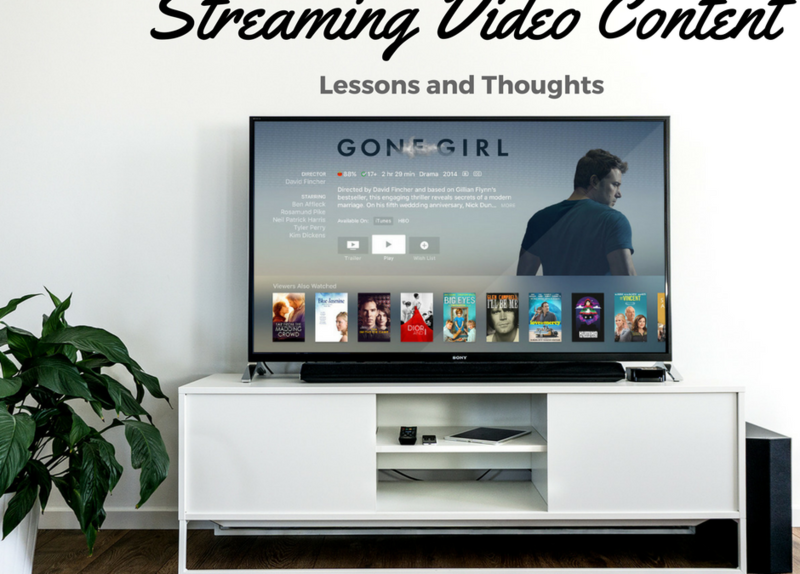 Netflix Streaming Video Lessons and Thoughts - SmackSmog! Everyone is familiar with Netflix. For a few dollars a month you can stream videos from the Netflix Servers to your computers and even onto your TV. A few years ago it was a new and crazy idea but not so much anymore. It’s not the only show in town. Amazon has their own internet streaming service for movies and previously aired TV shows. Hulu also has a similar servic and of course the major television studios all have their shows streaming. Everyone seems to be getting into the streaming video game. First of all let’s talk about the Netflix User Experience or UX. I’ve read a really great blog article about the Inside Design at Netflix . It’s a little dated at the moment (It’s from 2015) but it’s pretty cool. One of the things that was a surprise to me when I read the article was how Netflix has four teams that work on the netflix.com site. According to the blog, Netflix has four design teams. It makes total sense of course but I still find it interesting and I thought you might as well. I for one am grateful because I love their product. How do you think Netflix’s design process differs from other companies’? We don’t do much wireframing. A lot of design teams start with low-fidelity wireframes, but we’ve realized through user testing that most people can’t really respond to wireframes—they just don’t see them the way designers do. Another interesting tidbit that I’ve been tracking on the internet about Netflix is an article on Behance. The article says that “Netflix is looking to significantly increase social activity and sharing between members on their site.“ I found this interesting. I like that Netflix is thinking about their clients and want to build a greater community. When Netflix looked at sites like Google Hangout and Twitch they learned that when people where on social media outlets like Twitter and Facebook while watching TV that the social engagement increased 1.3 times than that of solo TV watchers. There’s of course lots of other interesting tidbits of information. You really have to check it out yourself! My Love of Netflix comes from my love of blog content! As much as I love Netflix I have to tell you that there are two things I really love about the Amazon UX design and I wish that Netflix would do the same. “Click On Screen” I love that I can click just about anywhere on the screen to pause and play. I love that! It makes it so simple to stop when I suddenly need to. It’s a huge pain in the neck to have to find the pause button to stop the player from proceeding. The second awesome thing that Amazon Streaming does is when you do pause your video it brings up the IMDB of all the actors that are on the screen! Not only do I get the awesome content like watching “The Wire” but I get double content by getting to read the actors IMDB facts and bios. The good folks over at IMDB and Amazon (I know Amazon owns them!) even have juicy tidbits about scenes that you probably wouldn’t know. My point with all this is that everyone knows that Amazon and Netflix offers great content streaming through their sites. However, that’s not enough. You need good User Expeiance as much as you need good content. Both companies seem to put a lot of effort into creating the right type of environment for the clients. I personally think that the Netflix people do a slightly better job but that’s just me.